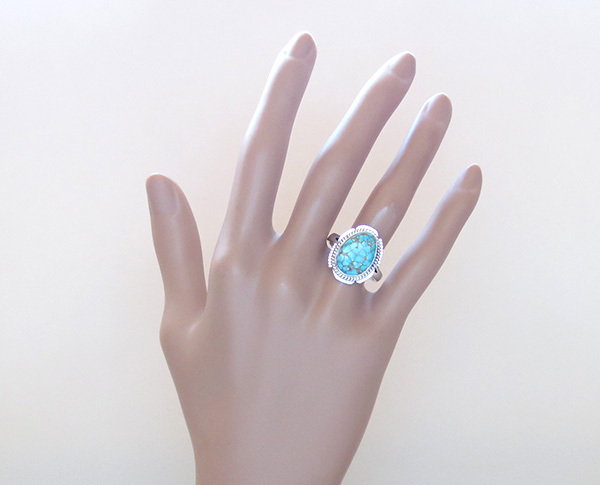 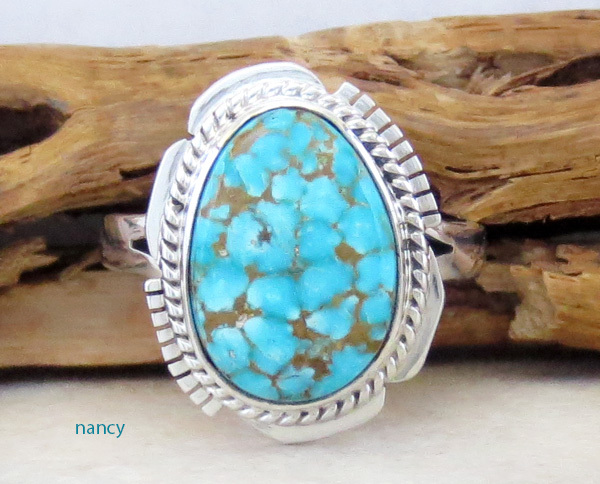 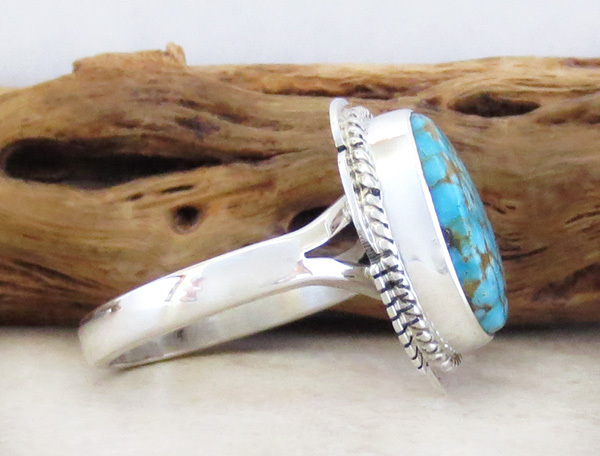 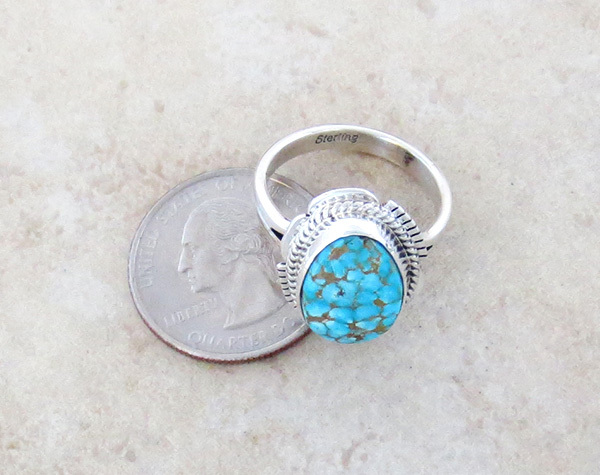 This ring is a size 9 1/2 and was created by Navajo artist Sampson Jake. 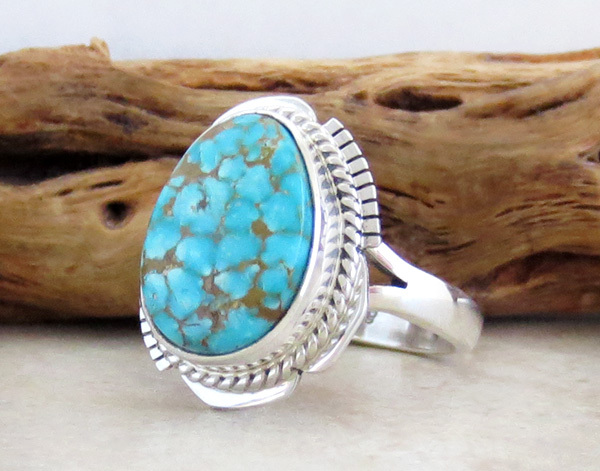 The Turquoise Mountain Turquoise stone has bright blues with a gold matrix. 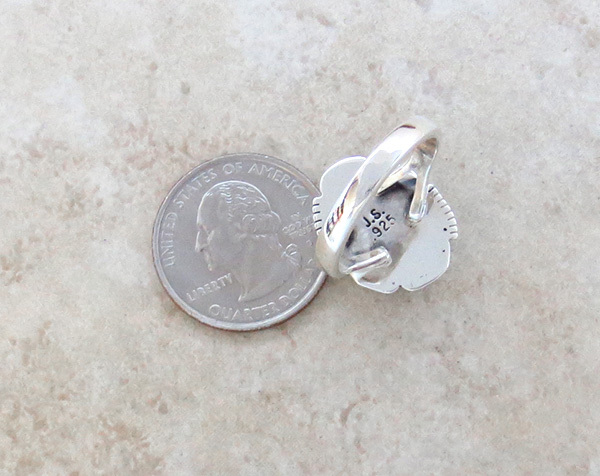 It measures 3/4" tall by almost 5/8" at it's widest point.